‘Valid 2’ is a week-long training course (19-25 May 2012) hosted in Vienna, Austria, which will focus on training social workers, youth workers and artists who work with marginalized or socially excluded groups of young people especially in the field of inclusion throught art of people with disabilities. It will combine methodologies of the “Theatre of the Oppressed” and “DanceAbility”. The exchange and training will will focus on themes related to disability, in particular on the barriers that disabled people experience while moving through the city and the possibilities of overcoming them. The main aim of our project is to come up with ways to diversify Vienna’s cultural geography by drawing attention to the obstacles that “differently abled” people experience while living in the city. The training results in a public performance in Vienna’s ‘Invalidenstrasse’, selected because the street identifies disabled people as “invalid”. We will draw attention to differently abled people as being “valid too”. of the Oppressed” and “MixedAbility”. 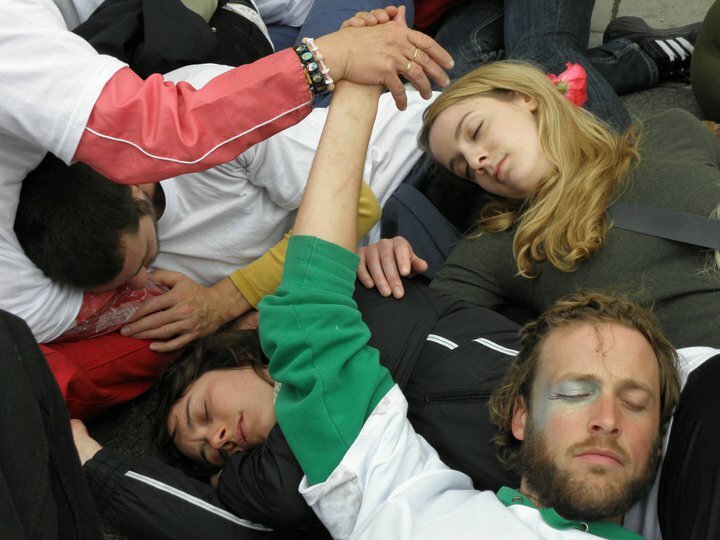 ‘Theatre of the Oppressed’ methods can be transformed and combined with many other techniques. The training week will explore the potential of Augusto Boal’s theatre in combination with body/movement practices. The training week in Vienna aims to support youth and social workers with artistic skills – and, on the other hand, to supply artists with skills in social work. Participants will attend the workshops in the facilities of the WUK-building and will be hosted in a nearby hostel/hotel in the city of Vienna. Im Rahmen des Programmes “Jugend in Aktion” wird das TdU-Wien im Zeitraum vom 23.-29.Mai 2011 hospitierende Organisation eines JugendtrainerInnen-Trainings für KünstlerInnen und PädagogInnen, die mit jungen Menschen unterschiedlichster körperlicher und geistiger Fähigkeiten arbeiten, sein. ProjektpartnerInnen kommen aus Serbien (UG RAFT), Italien (ARCI Varieazioni), Mazedonien (Media Artes), Wales (Theatr Cynefin) und Österreich. Gemeinsam mit Vera Rebl (DanceAbility) und Barbara Santos (ehem. CTO-Rio de Janeiro) werden Workshops zur Tanzimprovisation und zur Ästhetik der Unterdrückten organisiert. Bei Teilnahmeinteresse bitte “23-28 Mai 2011” anklicken. 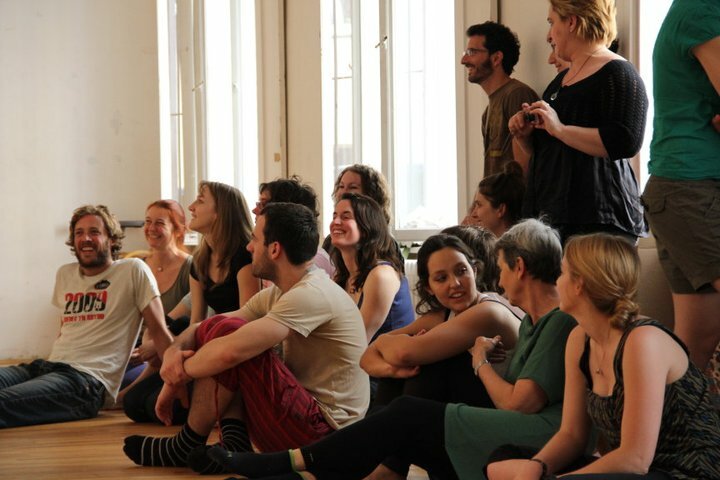 Between 23-29 May 2011, the Theatre of the Oppressed Vienna will host a training course for artists and social workers, who work with young people having diverse physical and mental abilities. The training is being financed by the EU-programme “Youth in Action”. Partners of the project are from Serbia (UG RAFT), Italy (ARCI Varieazioni), the FYR of Macedonia (Media Artes), Wales (Theatr Cynefin) und Austria. Together with Vera Rebl (DanceAbility) and Barbara Santos (former CTO-Rio de Janeiro) we will organize workshops on dance improvisation and the Aesthetics of the Oppressed. If you are interested to join, please click on “23-28 Mai 2011”.